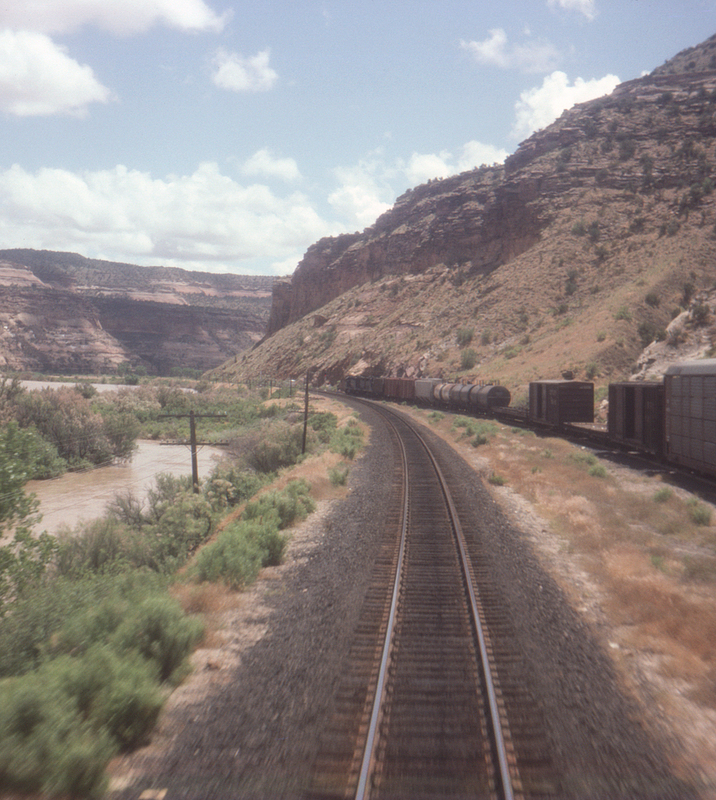 One of the less well-known scenic glories of the Denver & Rio Grande Western is Ruby Canyon. Like Gore Canyon it's virtually without highway access (although popular with rafters) but lacks the grim construction tales associated with Gore. Eastbound passengers first encounter it after leaving Grand Junction, Colorado and passing through a tunnel just east of Mack. Here Amtrak's combined California Zephyr/Desert Wind/Pioneer has just met an opposing freight waiting patiently in a siding; most of the line is single track.